I don't really stick to traditions just because they are traditions but this year, some spring cleaning did indeed happen. The main reason is that my laptop is living on borrowed time and I wouldn't want to lose my files. Been there, done that. I got an external harddisk, lost it, got another, found the first one... so I'm backing up. Or backupping. Possibly both. A Molyneux week. 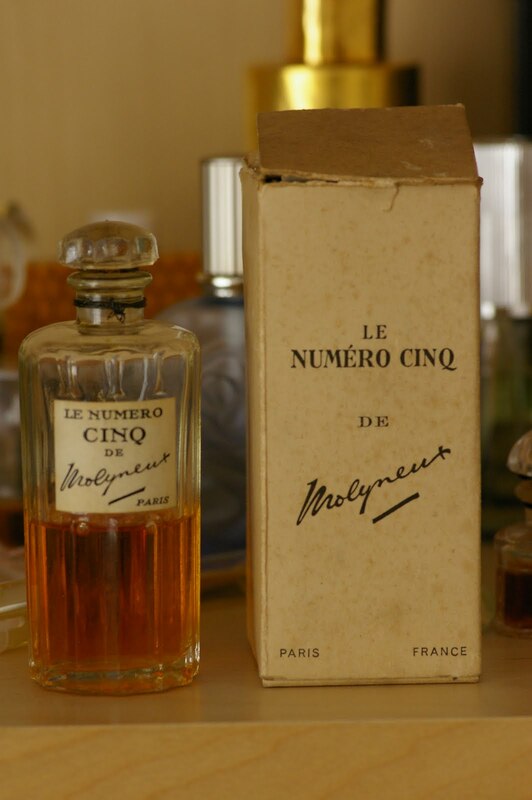 There'll be Rue Royale, Charme, Numéro Cinq, two different editions of Vivre and Quartz which smells like warm water. After that, just in tow, Gueldy week. Gueldiana, of course, and also Lys Bleu, Cuir de Russie and Cyclamen. I think I may have one more but I'm not sure. Obviously, I'll throw in some knitting and random flowers because it's me. And a gratuitous kitty or two if I can find the Montmartre directory.